A bill that benefits asbestos defendants, but harms asbestos claimants, passed the U.S. House thanks to grandstanding and rhetoric. 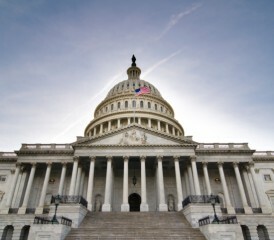 On Wednesday evening, the U.S. House of Representatives passed the Furthering Asbestos Claims Transparency (FACT) Act (H.R. 982). The bill is intended to improve claim transparency by requiring asbestos bankruptcy trusts to disclose claims information. But the purpose of the bill, efforts to get it passed, and the consequences it will have for asbestos victims are anything but transparent. The FACT Act was first introduced in the House Judiciary Committee in 2012 by five bipartisan co-sponsors. The Committee held hearings, but H.R. 4369 never reached the House floor for a vote. A version of the bill (S. 3076) was also introduced in the Senate Judiciary Committee the same year, but that committee never acted on the bill. Yet lack of evidence did not stop the FACT Act from re-emerging again earlier this year. In fact, the House Judiciary Committee wasted no time voting on the measure. In their haste, committee leadership reportedly failed to follow through with assurances that asbestos victim advocates would have an opportunity to testify publicly before a final vote. The Committee ultimately passed the bill 17-14, clearing the way for a vote on the House floor. On Wednesday, the House approved the measure with a vote of 221-199, split largely along party lines. It appeared that this year’s budget sequester, government shutdown and ongoing controversy regarding the Affordable Health Care Act might derail any further progress for the FACT Act for at least this year. Although Wednesday’s vote left asbestos victim advocates extremely disappointed, they weren’t exactly caught off guard by the results. Grandstanding and a relentless propaganda campaign by tort reform advocates were clues the FACT Act would remain a viable legislative threat. Although FACT Act supporters could do little to bolster the legislative record and justify the proposed legislation, they did launch a media campaign highlighting isolated instances of alleged fraud. This included an effort by pro-tort reform news outlet Legal Newsline to convince a court to grant access to confidential documents in the recent Garlock bankruptcy trial. That effort failed in court because it had little merit, but it succeeded in generating more headlines, suggesting that a trust transparency issue exists. As recently as two days before the House vote in favor of H.R. 982, The Hill ran a story contributed by Lisa Rickard, president of the U.S. Chamber Institute for Legal Reform. Rickard praised the FACT Act as a victim-friendly measure intended to protect trust assets for future victims. The Hill features coverage of lobbying and political campaigns, and is popular among busy members of Congress and their staff. So popular that it wouldn’t be surprising if the number of members and staffers, who had seen Rickard’s story by Wednesday afternoon, surpassed the number who had actually read and studied H.R. 982. The day before the House vote, the U.S. Chamber of Commerce issued a letter to House members urging them to support H.R. 982. The Chamber is “the world’s largest business organization” representing the interests of millions of businesses. The letter mentioned the need to protect trust assets, and also stated the “FACT Act would also ensure that the thousands of small, medium, and large businesses currently embroiled in asbestos litigation are not unfairly victimized by plaintiffs’ attorneys.” It also warned member that their votes “may be included” in its annual “How They Voted” scorecard. Business executives can use this score to help guide their political contributions. The claim that the FACT Act would protect trust assets has also been used to promote versions of the bill at the state level. Indeed, the rhetoric was repeated on the House floor on Wednesday. Thanks to a resolution (H. Res. 403) reported out of the House Rules Committee earlier this week, H.R. 982 was paired with another tort reform measure for introduction on the House floor. The Lawsuit Abuse Reduction Act of 2013 (H.R. 2655) removes existing limits on the ability to penalize losing plaintiffs. Rules Committee member Rob Woodall, R-Ga., presented H.R. 2655 and H.R. 982 in tandem on the House floor. This strategy no doubt caught the attention of any lawmakers who may be unfamiliar with the portion of the Code that establishes bankruptcy trusts, but who broadly support tort reform. Rep. Woodall opened with praise for how the Rules Committee engaged in a “transparent” process to bring these bills to the House floor, describing H.R. 2655 as a measure to protect small businesses from “frivolous lawsuits,” and H.R. 982 as a measure to protect asbestos victims from fraudulent trust claimants. He claimed H.R. 982 was part of Congress’ “stewardship obligation” to help trusts manage their assets. Specifically, opponents pointed to the lack of empirical evidence of widespread fraud to justify the so-called stewardship obligation. Rather than protect trust assets, the bill would have trusts waste their resources on unnecessary reporting requirements aimed at both helping asbestos defendants circumvent the discovery process and delaying compensation to dying claimants. Perhaps the harshest criticism leveled by FACT Act opponents focused on how the bill jeopardizes trust claimants’ privacy. According to Rep. Alcee Hastings, D-Fla., and other lawmakers, the FACT Act “revictimizes” asbestos victims. H.R. 982 would require trusts to asbestos trusts established under provisions of the Bankruptcy Code to file quarterly reports with the bankruptcy court. The reports would list each claim submitted by an asbestos claimant, the basis for the claims, and the last four digits of the claimant’s social security number. The FACT Act would also require that these reports provide information about trusts claims and payments involving asbestos lawsuit plaintiffs. But there is simply no valid transparency concern to justify the FACT Act. Courts already have rules regarding how liability is divided among all parties responsible for a single claimant’s asbestos personal injury. Asbestos defendants can obtain claims and payment information through the discovery process. There are harsh penalties for lawyers and plaintiffs who fail to comply or otherwise violate discovery rules. However there are serious concerns that, if the FACT improves transparency for any one, it’s those who would further victimize asbestos claimants. Asbestos claimants’ exposure histories and health status would essentially become public information if the FACT Act is enacted. Employers, lenders, insurers and identity thieves could access quarterly reports by paying a nominal fee to access bankruptcy court dockets online. Information obtained from the reports envisioned by the FACT Act could be used to discriminate against claimants seeking employment, credit or insurance coverage. Exempted trusts with anti-fraud procedures from the FACT Act’s disclosure requirements. Require that any asbestos defendant seeking trust payment information disclose relevant information to protect public health and safety. Require that asbestos defendants seeking trust payment details provide information, excluding their trade secrets, that identifies and discloses the locations of their asbestos-containing products and worksites. Exempt veterans and U.S. armed forces members from the bill’s disclosure requirements and ensure that their asbestos claims are paid before death. Interestingly, the lawmakers who fancied themselves stewards seeking to protect future asbestos victims defeated each of the amendments. Also interesting was the FACT Act advocates’ inability to cite support from the people they claimed to be interesting in protecting: Asbestos victims. Bill supporters not only failed to seriously consider asbestos victims’ concerns about privacy and delayed payments, but they also mischaracterized asbestos victims’ input into the bill. As Rep. Steve Cohen, D-Tenn., pointed out, all of the major victims’ rights groups that would be interested in preserving trust assets for future claimants oppose the FACT Act. He also criticized the Committee for refusing victims’ advocates another opportunity to testify before voting on the bill. But Rep. Bob Goodlatte, R-Va., blurred the record by implying that victims didn’t take advantage of opportunities to voice their views. Following Wednesday’s vote, asbestos victim advocates, who continue to work tirelessly to defeat the FACT Act, set the record clear about their discontent over House approval of this bill. The FACT Act offers no clear improvement to trust transparency. But Wednesday’s vote definitely represents a missed opportunity for the House to support asbestos victims. There are only a couple of weeks left in a legislative session already tainted by a government shutdown that garnered widespread public disapproval. Using that time to pay serious and long overdue attention to an issue that has victimized innocent Americans for decades could have redeemed lawmakers, at least in the eyes of asbestos victim advocates. But apparently lawmakers weren’t interested in redemption. Rather than seriously consider how to help asbestos victims, they passed an unnecessary bill based on rhetoric, not facts. Testimony and debate of the FACT Act should have included a thoughtful analysis of existing bankruptcy trust accountability and protections available under both the tort litigation and bankruptcy systems. But instead, statements from both sides of the aisle were peppered with lingering bitterness over the shutdown, Affordable Care Act and rhetoric about alleged fraud. None of these had anything to do with helping asbestos victims. Fortunately, it’s not too late. The FACT Act still requires Senate and presidential approval before becoming law. On Tuesday, the White House issued a position statement opposing the FACT Act.